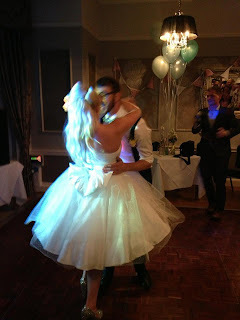 I have been dying to share with you Lydia's wedding dress for months now. Lydia came to me at the beginning of the year with a few ideas for her perfect wedding dress. 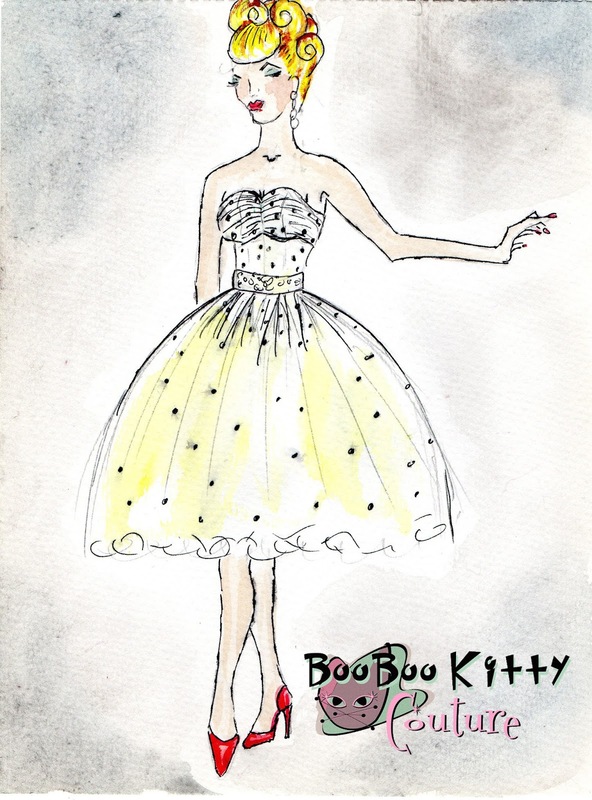 We narrowed it down to a few things the dress had to have; polka dots, tulle, bows and sparkle. So with my very exciting brief in hand i went about designing her dress. After our initial consultation this is what i sent Lydia, along with some samples of fabric and polka dot tulle. 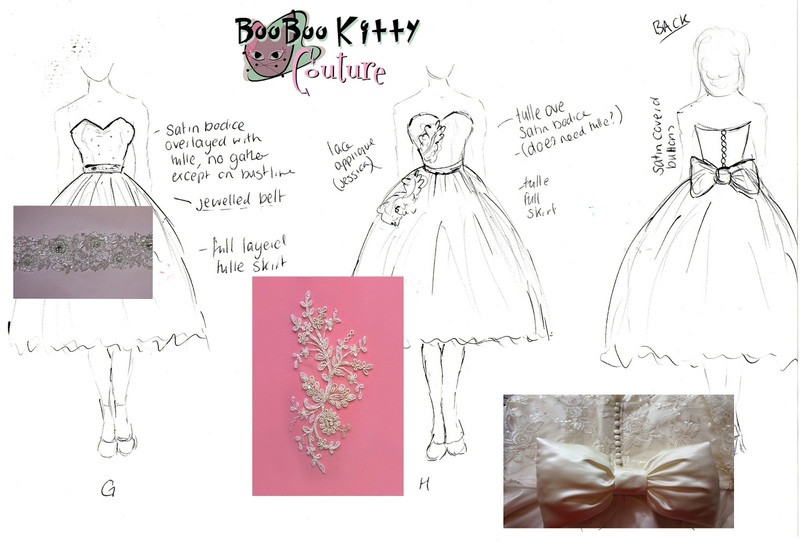 The final dress was a mix of design A and the belt from G. But with smooth under bust and back and the gathered tulle on the bust only. I sent Lydia a sketch of the final design. At the beginning of the summer Lydia returned to my studio again to confirm her dress, chose the belt and also to get measured up. She brought along her bridesmaid too to get measured up as they were having BooBoo Kitty Couture dressed too! 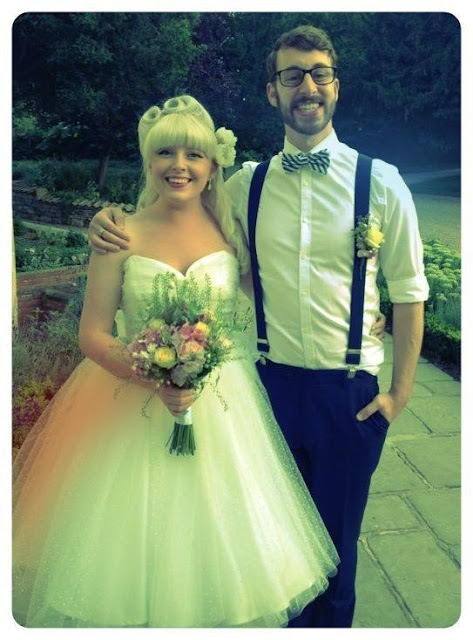 After a few fittings and a few tears from mother of the bride and bridesmaids too. Lydia's wedding dress and her bridesmaid dresses were ready to take home. A few days (the next day in fact!) my inbox was filled with lovely photos from Lydia of her big day. 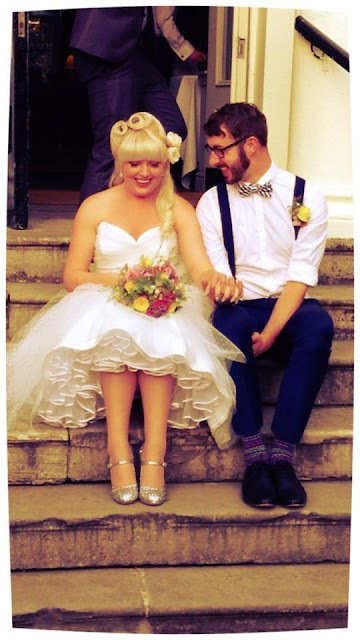 Thank you Lydia for letting me share these images of your very special day. The dress was made from a base fabric of supreme satin in porcelain, with layers of plain and flocked polka dot tulle on the skirt, gathered at the waist band to add volume. 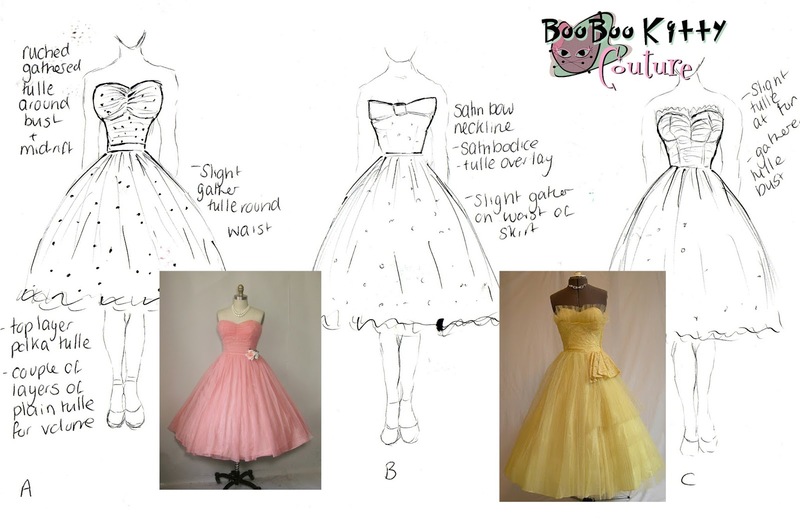 There was gathering on the bust line and tulle over laid the satin on the rest of the bodice. 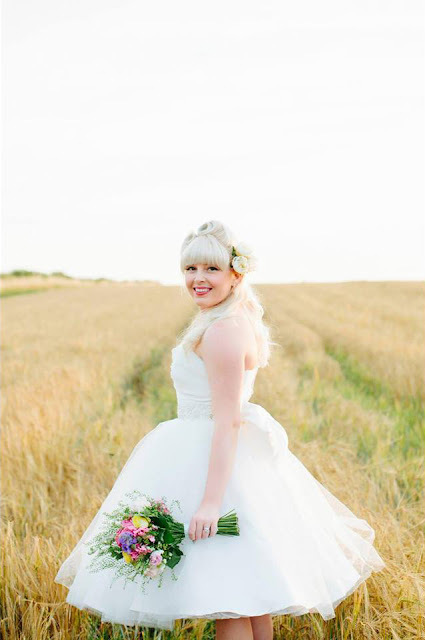 The high quality bridal satin shimmered like pearls in the sunshine through the layers of tulle, while the sparkly belt twinkled drawing the eye into Lydia's tiny waist. A ribbon edged stiff crinoline was wore separately under the dress to create even more volume! Which must have made dancing really fun!! 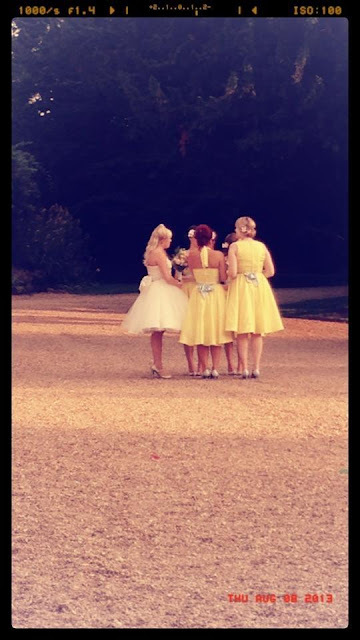 The bridesmaids wore custom made yellow satin dresses, all with full circle skirts. 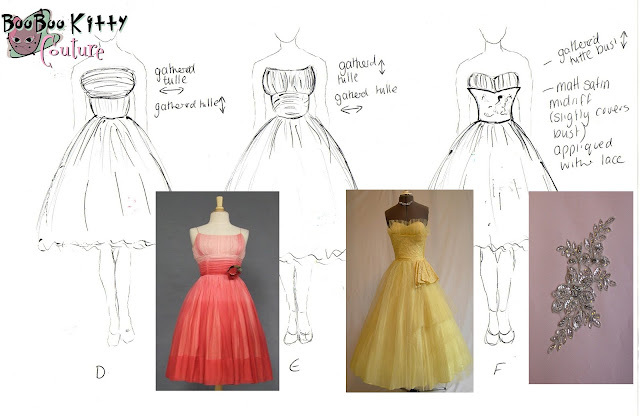 Two girls had sweat heart halter necks and the others had boat necked 'Audrey' dresses. I adapted one of the dresses because one of the girls was pregnant! 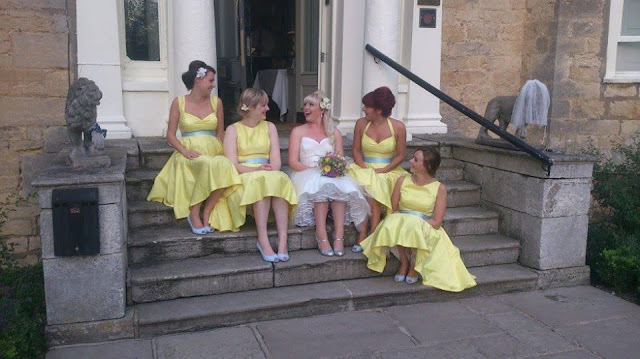 I love how Lydia, accessorised the bridesmaids yellow dresses with pale blue sashes and shoes. You might remember i have made yellow bridesmaid dresses before, ten of them. Those were accessorised with pale pink. My crazy talented friend Lucille aka Lucille's locks did all the girls hair. Lucille is super talented, if you are local to Nottingham i highly recommend you book in with her. Such a pleasure to work with, such a clam, glamorous lady! 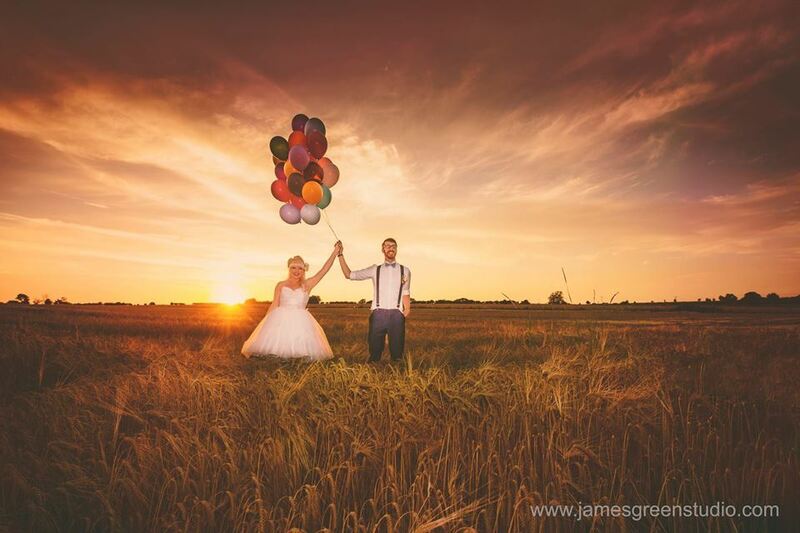 Thanks again to Lydia for letting me share these images. Hope you had a fantastic honey moon! 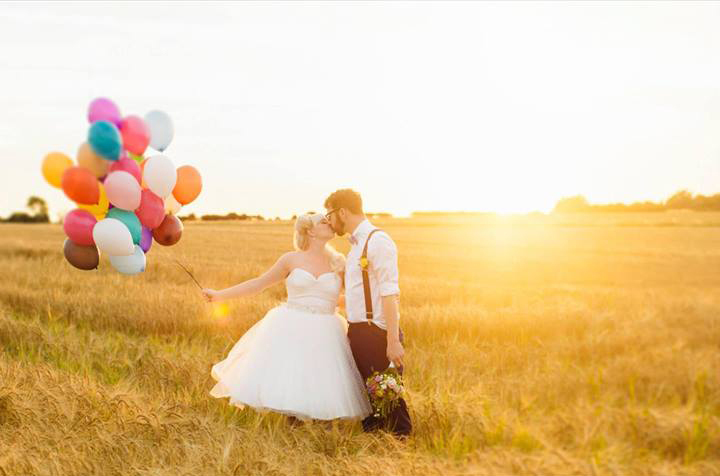 What a gorgeous bride and beautiful pictures! 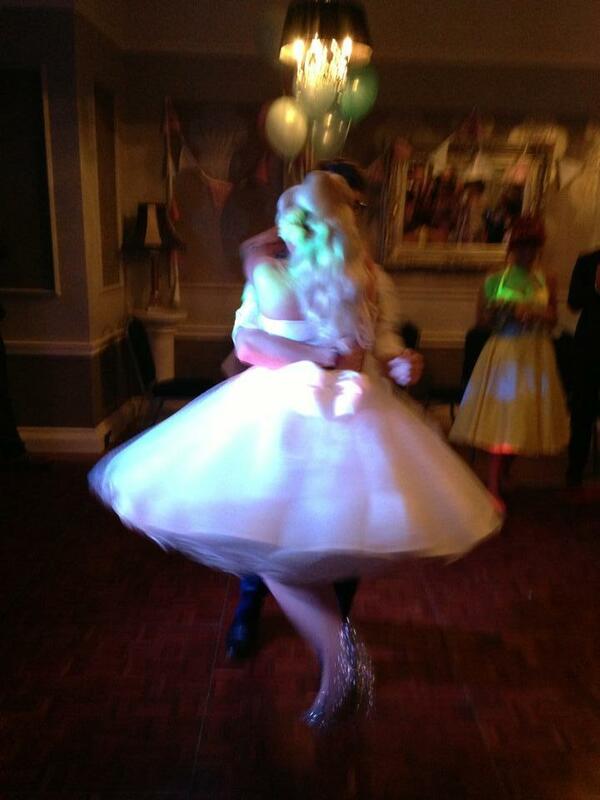 I LOVE her dress, it's so different!